Dobell's London years form the most significant period in his development as an artist, when he produced an outstanding group of works that witnessed the germination of his acute interest in human nature. Living in central London's Pimlico, surrounded by a rich milieu of characters, he was inspired to produce quickly-captured glimpses of life in the streets, cafes and parks. "We'd go around everywhere; to the zoo on the free day ... and we'd sketch there, and then to the cheap coffee houses and we'd sketch the people sitting around ... I then got the idea of transposing those quick sketches into paintings". His London period reached its peak in his inspirationally conceived, tiny comic masterpiece 'The duchess disrobes', the idea for which had its origins in his sketches of birds drying their wings at the London Zoo. It is one of a small number of extraordinary paintings in the tradition of English social caricaturists William Hogarth and Thomas Rowlandson. Signed l.r. corner, yellow oil "W.Dobell". Not dated. Portrait of an artist: A biography of William Dobell , Melbourne, 1983, 244. Scott Bevan, Bill: the life of William Dobell , 'Learning from the masters', pg. 32-83, Cammeray, 2014, 60. Helen Campbell, Australian art: in the Art Gallery of New South Wales , 'Out of Sydney: city and hinterlands', pg. 185-186, Sydney, 2000, 186, 190, 191 (colour illus. ), 300. William Dobell', William Dobell: portraits in context , 'Portraits in context: selected early works, pg. 21-25, Kent Town, 2003, 13, 45 (colour illus.). Harbant Gill, Sun-Herald , 'Naked and the dread', pg. 32, Sydney, 22 Sep 2008, 32. William Dobell , London, 1964, 24 (colour illus.). James Gleeson, The drawings of William Dobell in the Australian National Gallery , 'Ladies of fashion', pg.32, Canberra, 1992, 32 (colour illus. ), 63. figure no. 38, erroneously states that work is in a Private Collection. AGNSW Collections , 'Image of contention', pg. 10-20, Sydney, 1994, 48 (colour illus.). Barry Pearce, Australian painters of the twentieth century , 'William Dobell', pg. 76-87, Sydney, 2000, 80. Barry Pearce, Look , 'The Lowy, Gonski Gallery', pg. 37, Sydney, Dec 2005-Jan 2006, 37. Jill Sykes, Look , 'Breaking the territorial mould: some thoughts from a new head curator', pg. 30-31, Sydney, Sep 2011, 31 (colour illus.). William Dobell: the painters progress , Sydney, 1997, illus.. 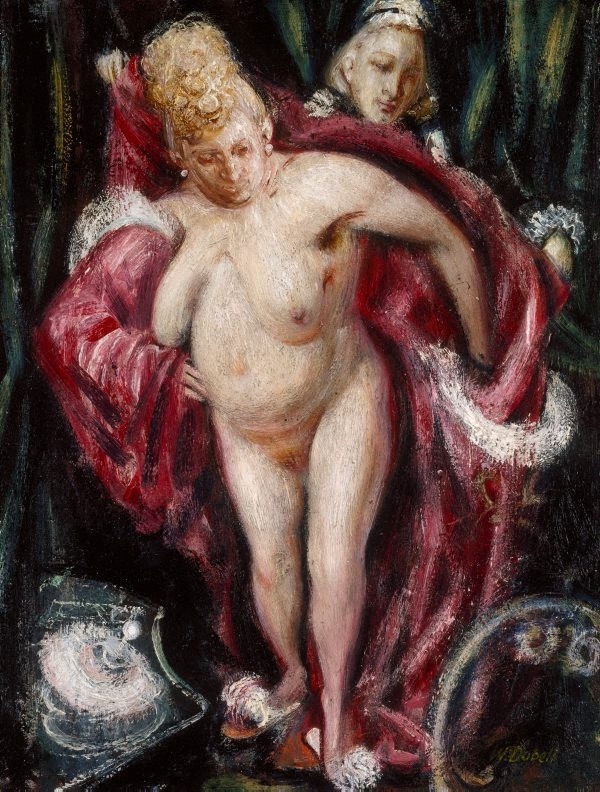 The Art of William Dobell , Sydney, 1946, 61 (illus.). Look , Heidelberg, Mar 1988, 22.